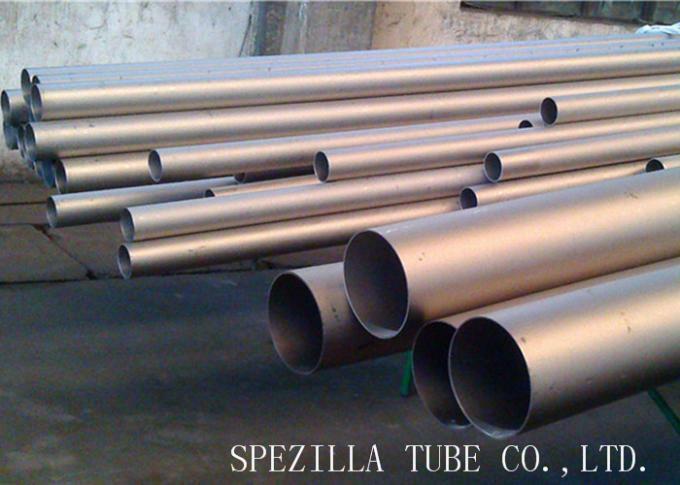 Spezilla is really a professional supplier, they always give us technical advice and provide good quality tubes with very competitive price! 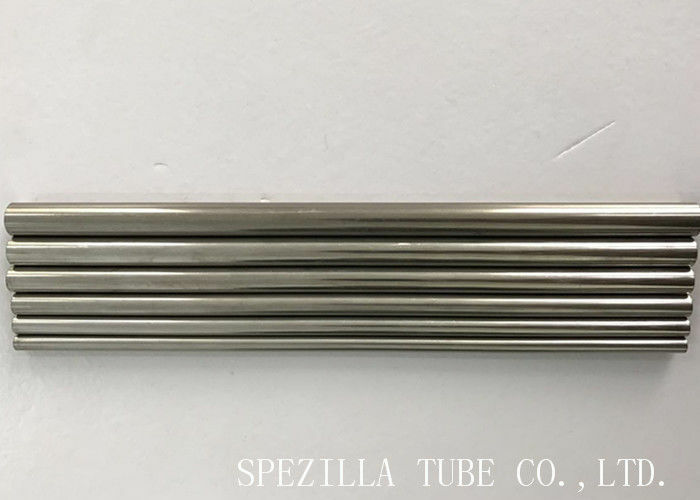 Good quality, fast delivery, Spezilla has been supplying heat exchanger tubes for our projects since 2008, we really appreciate your support! Spezilla supports our group very well, and now we are approved supplier of goverment, they are reliable and flexible! Spezilla always answers! 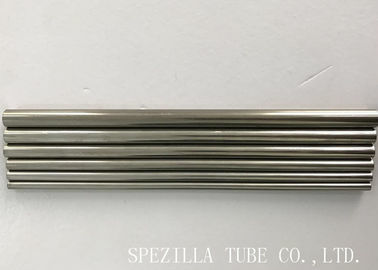 Very competitive price and the tubes are well polished, we are very satisfied with Spezilla from our cooperation since year 2010. Titanium is the ninth most abundant element in the earth's crust and the fourth most commonly used structural metal. In nature, it occurs only as a mineral (ore) in combination with oxygen or iron (rutile, TiO2, or ilmenite, FeTiO3). Titanium is a lightweight material whose density is approximately 60 percent of steel's and 50 percent of nickel and copper alloys'. It was recognized in the 1950s as a desirable material for aerospace applications—especially airframe and engine components. In the 1960s and 1970s, titanium was considered for use in vessels and heat exchangers in corrosive chemical process environments. Typical applications included marine, refinery, pulp and paper, chlorine and chlorate production, hydrometallurgy, and various other oxidizing and mildly reducing chemical services. Titanium has low density, slightly over half that of steel, Alloys with additives such as aluminum and vanadium will get high strength. it makes the titanium use in many industries and markets. Titanium seamless & welded tubing has double the strength of aluminium & ASMESB338 Titanium Tube is about 60% denser than aluminium. Titanium NCF Tubes is a silvered colored metal with low density and high strength. Titanium Micro Tubes are strong and lightweight making them ideal for automotive, aerospace, military and industrial applications. ASTM B338 Titanium Alloy boiler tubes is considered to be one of the strongest metals. These applications range from medical implants to airplanes and ships. Pure Titanium condenser tube is strong and corrosive resistant. Material Gr.1, Gr.2, Gr.7, Gr.9, Gr.12, Gr.16 etc. PMI Test, Spectro Test, Intergranular Corrosion Test, Sharpy Impact Test, Hardness Test, Tension Test (Elongation, Yield Strength, Tensile Strength), Flarring Test etc. Application Heat exchanger, boiler, condenser, air cooler, superheater, evaporator etc. Package In bundles, plywood cases, wooden cases with water-proof package, etc. Trade Terms FOB, CIF, CFR, DDP, EXW, etc. Main Market Domestic Market, North America, Western Europe, South America, Eastern Asia etc. Titanium grade 2 is a commercially pure titanium and the most commonly used type of titanium for industrial applications. The alloy is used primarily for its corrosion resistance to pitting, crevice and cavitations corrosion, erosion and stress corrosion cracking in salt water, and a broad range of acids, alkalis and industrial chemicals. Titanium is a low density material with a high strength to weight ratio. Grade 2 Titanium Tube / Gr. 2 Seamless Titanium Tubing 25.4MM X 0.889MM X 7.5 MTR. China Good Quality Stainless Steel Round Tube Supplier. Copyright © 2016 - 2019 stainlesssteelroundtube.com. All Rights Reserved.